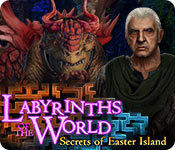 Labyrinths of the World: Secrets of Easter Island is rated 3.7 out of 5 by 11. Rated 5 out of 5 by BooksandGameFan from Worthy of 5 stars! Thank You, Domini for giving me a game that I finally enjoyed from beginning to end! This truly was a 5-star worthy game! Beautiful colors, fun games, and most of all a wonderful storyline that you understood what you were doing and why, from beginning to end! Bravo!! Rated 5 out of 5 by denniann2 from another great game in the series custom level, interactive map, good hint system. you are trying to save your world but you have to beat the "stone monster" first. you come across some people that are being threatened by the statues of easter island. they shoot out rays that turn people to stone. you go from one world to another until you finally find the head of the "seekers" that will be the ultimate help to you. Rated 4 out of 5 by deddu from Super Fun Labyrinths Game This is a long and challenging SE game. Some of the mini-puzzles were hard, but you can pick easy before starting them. I really enjoyed going to the different worlds. 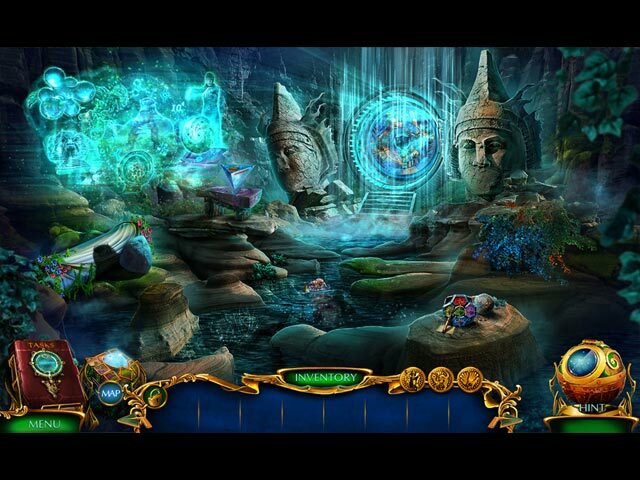 Rated 4 out of 5 by miansc from Interesting Good Game This game was interesting in the way you search for different Hidden Objects. I can still see the area where I thought I should be able to get an object but no way. Then later in the game had to go back for that object. Why not get it when first seen?? Overall, a decent game that all should enjoy. Have fun! Rated 4 out of 5 by kraymin from What's not to like, I'll tell you This is a good fun game for beginners and experts alike. Easy to follow and a very cool story line to boot. The fact that there are mysterious monoliths around the world adds to the mystery. I recommend this game regardless of how long you've been playing HOG's. My favorite series is the Maze series just to give you a reference. I haven't played the others in this series but now I want to. Try the demo and I'm sure you'll enjoy it enough to buy it. Custom mode lets you set everything the way you want it. Rated 4 out of 5 by pennmom36 from Rapa Nui (aka Easter Island) Home of the Moai And A Really Angry Golem Easter Island is one of Earth's most remotely inhabited islands, the nearest civilization is over 2000 miles away. When the Polynesians arrived in about AD 400, they dedicated their lives, carving the Moai, giant 14 ton megalithic statues to stand guard diligently along the perimeters of the island. Even to this day, no one knows how this civilization was able to carve so many statues of such epic proportions, not to mention the fact that the stone used to construct the Moai cannot be found on the island. They somehow managed to import the stone from a nearby island, and experts believe the Moai were transported to their final resting place, using large logs to roll them. This theory is also controversial, because Easter Island has no trees, perhaps it's because they were all used tor this purpose, or they were imported along with the stone. Eventually, the civilization dwindled to extinction, because of the Island's lack of resources, this information has nothing to do with this games storyline other than the fact that it takes place on Easter Island, I just thought I'd share some of my useless information, in case you find the mysteries of Easter Island as interesting as I do, and perhaps you can share some interesting facts as well :) As for the game review, that's in the next few paragraphs: Atakhter the Golem God has escaped his volcanic prison and is steaming mad! The Head Seeker, Takh Taash has sent her finest recruit to search the worlds for other Seekers to aid in the defeat of the stone giant. Until now, you had no idea you possessed the powers only a Seeker can obtain, no wonder you're such a great MI6 agent! Looks like Easter Island wasn't the perfect vacation destination after all, because those peaceful Moai statues now have laser eyeballs, and are destroying anything and everything that moves! You'll have to learn your Seeker abilities on the fly, because this walking volcano is angry, and wants to destroy the world, on your watch! Labyrinths of the World is a series that often fly's under the radar, the games offered are usually quite good, but for whatever reason, they often go unnoticed sitting next to the bigger, well known series games. Secrets of Easter Island isn't necessarily a new storyline, but it does take place on Easter Island, which is a new location twist, The last game took place at Stonehenge, so I'm loving this devs Ancient Alien vibe lately. The Collector's Edition version has several Achievements to earn, 20 Morphing Mythological Creatures, 20 Ancient Artifacts, and 22 Statuettes to collect throughout the game. There are 63 collectible Crystal Flowers to find which allow you to purchase items to decorate your Garden House, a feature I'm personally not into, I just don't get it. There are Icons located on top of the Inventory Bar that indicate which collectable is available in each scene, but just in the CE version. The Hidden Object Scenes are varied, with finding Keywords in a Sentence etc, but for the most part, they are Interactive List finds. Most of the HOP's offer a small interactive puzzle to solve, and there is an alternate Match 3 game to play if you're not into HOP's. The Mini Games are numerous and entertaining, and most of the puzzles give you the option to play the game in either an Easy of Hard mode which is a feature I really like. Below are brief descriptions of some of the games you'll encounter during the demo: 1) Arrange the color coded notes according to the drawing, moving one note may affect another. 2) Guide footprints from one arrow to the next, hiding in bushes and avoiding obstacles. 3) Create a path for the rope to pass through every carabiner, while avoiding obstacles. 4) Restore the picture by swapping triangle puzzle pieces. 5) Rotate circular tokens to recreate the image, selecting one token to rotate may affect others. 6) Drag glass shards to reassemble the broken glass pane. 7) Press the same symbols as shown on the highlighted instructions. 8) Recreate the path shown on the capsule activator by swapping tiles. 9) Put the triangles on the matching color sections, press the center to rotate the triangles. 10) Restore the picture by swapping two parts on the same circular track. 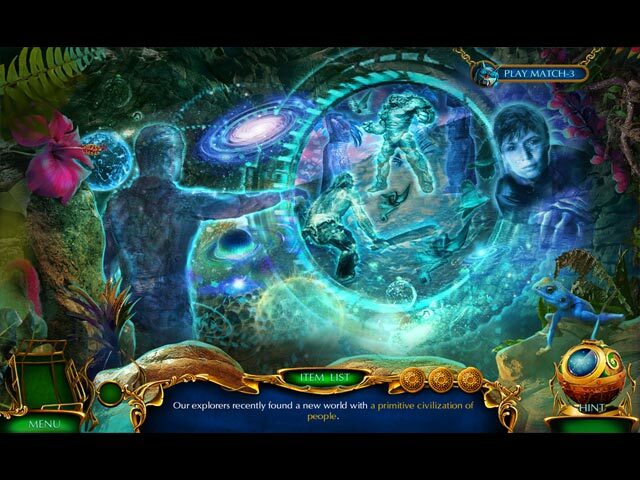 The Collector's Edition has 20 collectible Ancient Artifacts, 20 Morphing Mythological Creatures, 22 collectible Statuettes, 63 Hidden Crystal Flowers which allow you to buy 16 different decorations for your Garden Room, 20 Wallpapers, 36 Achievements to earn, 30 replayable Mini Games, 18 replayable Hidden Object Scenes, Match 3 game alternative, 5 Music Soundtracks, 20 replayable Video cutscenes, a built in Strategy Guide and a Bonus Adventure, Seek and enjoy! Rated 3 out of 5 by PATinPNS from Maybe I'm Just Not in the Mood for This This is posted after playing most of the demo. I guess I'm about the only one who doesn't care for this game. It could be I'm just not in the mood for something in this genre or it just didn't suit my fancy. I couldn't finish the demo. For this dev, I was very disappointed in the sound. Voice overs were not well done at all and in this day and age, there really is no excuse for that. As one reviewer say, it was like watching an old Godzilla movie where the lips don't match the words. Graphics were okay. Colors were mostly pink and blue it seemed. The music was the best part of the this section. It went along with the action in the scene. I did love the level of challenge. I hate mini games and this game offered an easy or hard choice. Taking the easy route, I was able to complete all the mini games. 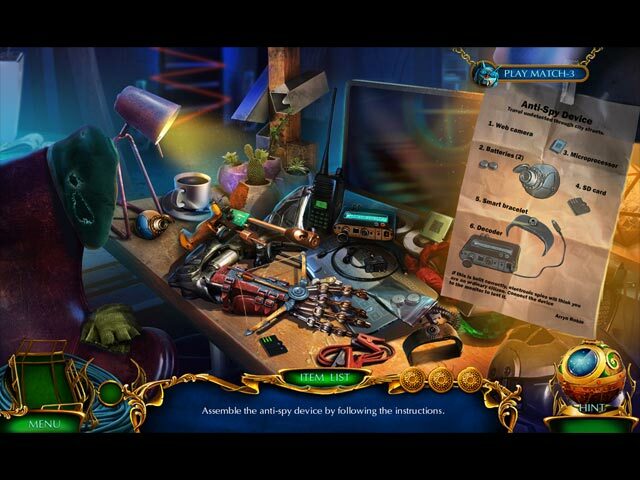 Hidden objects were varied, clear and enough of a challenge that they kept my interest. Only problem was they asked for things I had no idea what they were. It was click and pray there was something there. The interactive map was very helpful. The story just did not grab me as much as I tried to get into it. Again, maybe I'm just tired of the supernatural and syfy games. Others will go into the story for you, but if I'm going to get into a story, it has to grab me from the beginning or I don't get into it at all This was the case here. Although I didn't care for this, please play the demo and maybe you will get something more out of it than I.